As we know Australian companies are having the most diverse workforce in the world. To succeed in a global business environment, culturally diverse workforce is must. Cross cultural competencies develops an organization and its employees by imparting different types of knowledge in terms of work culture, personality and professional development or we can say that, the skills of the employees working in that organization become more polished with the help of work or non work activities. It also helps in developing cross –cultural experience which finally results in effective leaders who can easily manage the organization in different scenarios. The dynamic workforce in Australian organizations brings the knowledge about the work-culture, trends, practices, policies, thinking of different people which can help the organization in growing faster by applying the ideas which seems profitable. Australia is popularly known as the most culturally diverse country in the world and is enjoying the benefits of diverse workforce. Diverse workforce has multiple benefits attached to it like diverse staff (which comes with different qualities), efficient problem solving technique, improved creativity and different and wide approach. Australian business attracts more foreign investments and many Australian companies are becoming MNC’s now and Australia provides a healthy environment for application of diverse workforce. Diverse workforce comes with some challenges which are directly associated with the employees working in the organization. In this essay few problems are discussed which are faced by Australian organizations like communication, leadership style for managing the diverse workforce and the ethical issues caused by culturally diverse workforce. In this essay the solution for these problems are also discussed in the discussion and conclusion part. As the term suggests it is caused because of different languages existing in the world and in a diverse organization, different people belonging to different areas speak different language so comes the language barrier. It results in low understanding amongst the employees working in the organization. Communication plays an important role in an organization and it can become an advantage or a disadvantage to the company depending on the behaviour of the company’s employees, managers and leaders. Diverse workforce can have a negative impact on cohesion in daily tasks and most importantly in communication i.e. diverse workforce can act as a barrier in the communication process. (Joplin,J. R., & Daus, C. S. (1997). Language barrier- People belonging to different cultures and areas speak different language. It becomes difficult for them to understand other languages and sometimes people can’t explain or converse efficiently in other language. Different language can become a major problem in organizations which have diverse workforce because if the employees cannot communicate properly with each other than they can’t work in a group towards the goal of the company/organization. Wastage of time and money- Sometimes the communication gap is at the higher level and the organization has to arrange a translator for few languages. This increases the time involved in completion of a task assigned to the employees. Arranging a translator also becomes costlier for the organizations because if the employee of the organization speaks similar language than the cost of translator can be saved. Lack of team work- A team works best when the members interact with each other in a healthy manner. If the employees are too different from each other and they find it difficult to communicate, it results in lack of team work. The goals of the organization can be achieved only when the employees work in a team but communication gap makes it difficult for the leaders to attain the goals of organization. Low morale- When the employees belong to different culture or race, they find it difficult to adjust with each other. When the employees are not comfortable, they will not enjoy their work i.e. their moral will always be low which ultimately results in low productivity. It can also cause the problem of inferiority complex in the employees who speak different language. Non-verbal communication- Some employees try to use non-verbal communication when they don’t find any other alternative but actually the non-verbal communication is also different in different cultures. Misinterpretation of non-verbal communication sometimes leads to big problems in the organization. Formation of informal groups- People speaking the same language tends to form an informal group which can work negatively for the organization. This specific group will communicate in their specific language and they will have same understanding which can sometimes become harmful for the organization. For example few employees in an Australian organization belongs to Japan and they speak Japanese, which other employees cannot understand they can form a group which can have a negative impact on the organization. Difficulty in making documents- Documents are very important in an organization and they are required by all the employees related to the task. It is the need and right of every employee to get the important documents in a language which they can understand this increases the documentation work of the organization because they have to make the important documents in all the main languages which are used by the employees of the organization. Difficulty in receiving and conveying information- It becomes difficult for leaders to convey as well as receive information from different employees who speak different language. Because of this problem sometimes the important information does not reach to all the employees which cause problems in completion of a task. (Jones, E., Watson, B., Gardner, J., & Gallois, C. (2004). Lack of feedback- As we know feedback plays an important role in the organization but in diverse workforce, people who communicate in different language may hesitate in sharing their views and giving feedback to the leaders. Low job satisfaction- Because of the various problems caused by communication barrier it becomes difficult for employees to adjust and understand the culture of the organization. This results in low level of job satisfaction. The organization finds it difficult to retain the best people or talent of the world. Ethical practices are very important for organizations at all levels whether they are small scale or large scale. The organizations which have diverse workforce tend to face problems related to ethics of the employees. Few employees have narrow view towards the society and it the task of the leader to create a broader view and to handle the ethical issues which occurs in the organization. 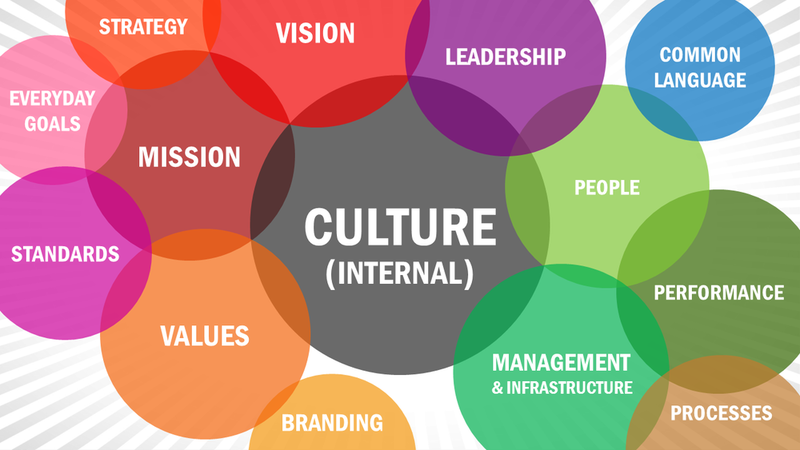 In a diverse workforce, employees belong to different cultures and this is reflected in their behaviour i.e. they behave according to their culture. Any type of unethical behaviour is not accepted in any organization. The ethical behaviour of the employees influences the environment of the organization. As the employees belong to different cultures their morality (moral behaviour) also differs from each other. For example, standing up when an elder person comes in the meeting room irrespective of his/her level in the organization is an ethic in few cultures but not in all. This may be unacceptable for few employees and may be the requirement of many. These small things can cause differences among the employees of a diverse workforce. Basic assumptions- The culturally different people/employees think differently and have different basic assumptions. They behave according to their culture and beliefs. Different view point- Diverse workforce represents different view points on one specific topic or task. Every employee will think differently about the same task in the same situation. Behaviour- The culture affects the behaviour of the employee. The different behaviour sometimes becomes a problem for the organization. Loss of client- The unethical behaviour of the employees or leaders may result in loss of clients. Loss of customer- If the employees of the organization do not behave properly with the customers, they will not return for the product. The loss of customers will result in low profits. Affect business partnership- Unethical behaviour of employees makes it difficult to maintain the business partnership. In business also, there are some ethics which have to be followed for maintaining a healthy partnership. Negative impact on goodwill- Unethical behaviour of employees has a negative impact on the goodwill of the organization. Difficult to trust unethical people- Generally people do not trust those who behave unethically therefore it is very important to behave ethically to gain trust of others around us. Respect for all- When people behave unethically, they lose their respect in the eyes of other employees, partners, clients, customers etc. Negative environment- Unethical behaviour creates negative environment in the organization which decreases the moral of all the employees. Low job satisfaction level- Unethical behaviour of employees or managers results in lower level of job satisfaction. This motivates the employees to change their job quickly. Conflicts-There can conflicts amongst employees working in the organization because they belong to different areas, religion, cultural backgrounds etc. Absenteeism- When there is low satisfaction level amongst the employees it will result in absenteeism. Once the employee is not feeling comfortable and happy he/she will not remain regular in the organization. Inferiority complex- As people with different backgrounds are working together in one organization, they can become emotionally disturbed because their personal ideas, understanding of a particular topic and believes are different from other employees, resulting in adjustments in different areas. The Australian organizations have started investing in training their leaders on diversity management for smooth functioning of the organization. They also offer training for ethical decision making technique which is very useful for them because in diverse workforce, they have to manage different types of people and taking ethical decision becomes difficult for the leaders. To avoid this problem, many Australian organizations give ethical decision- making training to their leaders. Ethical training is the way out for these problems and it is becoming very popular in Australia, where most of the organizations have diverse workforce. Every person and organization is unique with different dimensions of ethnicity, socio-economic status, ideas, forms etc. Diversity increases an organization‘s flexibility to cater to the world’s diverse demands. A diverse organization helps the company to entertain different needs of different costumers in this globalized world therefore we can say that diversity plays an important role in today’s world. Therefore it becomes really important that the leaders should deal with the diverse employees in an effective manner so that they can perform in their best possible way. The managers/leaders of diverse workforce must consider it as a challenge and an opportunity for the organizational as well as individual growth. For developing the employees of the organization the leader must have excellent inter-personal skills because the possibility of racial conflicts is at a higher level when different employees from different cultural backgrounds, work together in an organization. The racial conflicts are higher because the culture of the employee directly or indirectly controls his/her behaviour and they behave differently in the same situation. (McCuiston, V. E., Ross Wooldridge, B., & Pierce, C. K.2004). 1. Identifying the strengths and weakness- The leader should first analyze his/her own strengths and weaknesses, this will help him/her in controlling their reactions in particular situation or conflict. 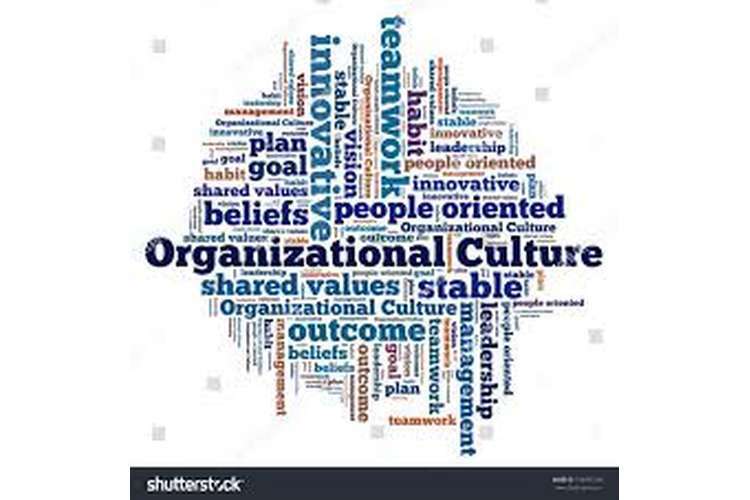 2.The global leader must appreciate the uniqueness of culturally different employees and must appreciate their valuable ideas and views in the organization. 3. The global leader must try to ignore the differences between the cultures and try to find out the similarities between the cultures. 4. Personal bias should not be done by the leaders, if they will portray any bias decision, they will lose their respect, trust and loyalty in the eyes of the subordinates. As diverse workforce is the most important part of the organization. The leaders of the Australian organizations should first understand the study of diversity so that they can manage the employees and can increase their productivity through effective strategies and can achieve their desired goals. The main differences amongst the work force are age and cultural differences. The task of the management is to manage the difference between diverse generations and cultures by understanding the behaviour and attitude of each individual. This increases the employee’s moral to work more efficiently. The management should let the employees freely express their views, ideas and opinions. This provides them a feeling of equality. Success and competiveness depends on how the management is handling its diverse workforce. It results in understanding local market and acquiring talent. The management and the executives must be committed towards the organization and must respect all the nationalities working in the company. The leaders must continuously add policies to create diversity in the organization and the most important thing, the management must participate with employees to create a healthy working environment as their participation will increase the productivity of the employees. This will help the organization enjoy all the benefits of diverse workforce. So the organization must understand the fact that the world is made up of places with diverse cultures and it must respect them to move ahead in this changing and diverse world for attaining the best results. (Taylor,T., & McGraw, P. 2004). Diversity management in Australia consists of factors like demographic features of the work force, the nature of economy, legislation, government policies, human resources management and the values and beliefs of the population. Australian workforce consists of more mature age groups, more women and a broad cultural mix. Lack of communication is a common problem in diverse workforce which can be solved by introducing a link or a common language through which the employees can communicate freely and the time and money of the organization is saved. The ethical issues can be addressed by the leaders of the organizations by proper understanding of the situation. The Australian organizations are giving training to their leaders on ethical decision making and diversity management. The leaders in Australian organizations have set a code of ethics for all the employees of the organizations for making the environment free from cultural conflicts which are common in diverse workforce. (Mujtaba, B. (2007). De Cieri, H., Holmes, B., Abbott, J., & Pettit, T. (2005). Achievements and challenges for work/life balance strategies in Australian organizations. The International Journal of Human Resource Management, 16(1), 90-103. Shen, J., Chanda, A., D'netto, B., & Monga, M. (2009). Managing diversity through human resource management: An international perspective and conceptual framework. The International Journal of Human Resource Management, 20(2), 235-251. Taylor, T., & McGraw, P. (2004). Succession management practices in Australian organizations. International Journal of Manpower, 25(8), 741-758. Joplin, J. R., & Daus, C. S. (1997). Challenges of leading a diverse workforce. The Academy of Management Executive, 11(3), 32-47. Sadri, G., & Tran, H. (2002). Managing your diverse workforce through improved communication. Journal of Management Development, 21(3), 227-237. Loden, M. (1996). Implementing diversity (p. 16). Chicago, IL: Irwin. McCuiston, V. E., Ross Wooldridge, B., & Pierce, C. K. (2004). Leading the diverse workforce: Profit, prospects and progress. Leadership & Organization Development Journal, 25(1), 73-92. Mujtaba, B. (2007). Workforce diversity management: Challenges, competencies and strategies (pp. 207-229). Llumina Press. Jones, E., Watson, B., Gardner, J., & Gallois, C. (2004). Organizational communication: Challenges for the new century. Journal of Communication, 54(4), 722-750. Robbins, S. P. (2001). Organizational behavior, 14/E. Pearson Education India.